So pleased with Spearhead Pest Control. Rudy came out the day I called and gave us a great price! Walked us through everything. Very professional. Fast and affordable. 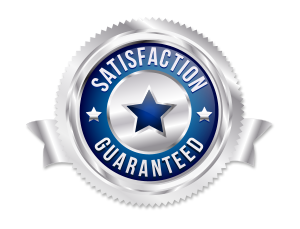 ~Tammi N.
We were provided excellent service by this company. We have never needed pest control until this year. Over the summer we discovered there was a rat scavenging through our kitchen cabinets. We are glad we called this company because they were able to come out to our house the same day and investigate. Rudy is very knowledgeable and taught us how to keep this from happening again; he easily solved the problem! This week we had a major ant and fly infestation and were again provided prompt, excellent customer service. We are extremely satisfied with this company. The prices were very reasonable, especially for weekend service provided within 24 hours of calling. ~Katie S.
Ants get so bad at my house. My boss used Spearhead at our store so I called and had someone out the same day after I got out of work, which was really helpful. No one else I called had after business hours available. 2 weeks later and still no ants. It’s a huge bargain compared to the bigger companies, too. ~Alex B. My wife and I couldn’t be more pleased in our decision to have Spearhead Pest Control free our house of rodents. Rudy’s professional approach and knowledge in addressing the problem was evident throughout his visit. I highly recommend Rudy and his company and was pleased to refer him to a friend who needed immediate help with her own rodent problems. ~Bill A. We had an ant infestation and since we starting using Spearhead, we haven’t seen one ant. Rudy at Spearhead is responsive, trustworthy and extremely knowledgeable. We highly recommend this Company! ~Brian S.
I used Spearhead Pest Control for spider problem in my house. I had my entire home treated for a reasonable price with great service. Thanks! ~Vivian C.
The service was great. They are very prompt honest and upfront. Had a lot of knowledge in this field …I hate ants in the house. .. They came and did a real thorough job and haven’t had a problem since. I would recommend them to anybody. ~Glenn W.
Spearhead Pest Control is the only company that had a real bed bug expert come to my house. I felt very secure that I was getting the best care possible. Rudy explains why he does what he does and it all makes sense. He doesn’t require any bagging of clothes or prep work and that saved us a lot of time and effort. I’m so glad we found Spearhead because I just didn’t like how some of the other companies were handling it. They all had ridiculous contracts that pretty much leave you hanging with no refund if they aren’t successful. Spearhead has an actual guarantee in writing. Best of all, it works! 3 weeks since we last saw a bed bug and we still have 40 days on our warranty! ~Charlotte G.